For the avid quader we offer an immense trail system of thousand of miles of logging roads and trails. 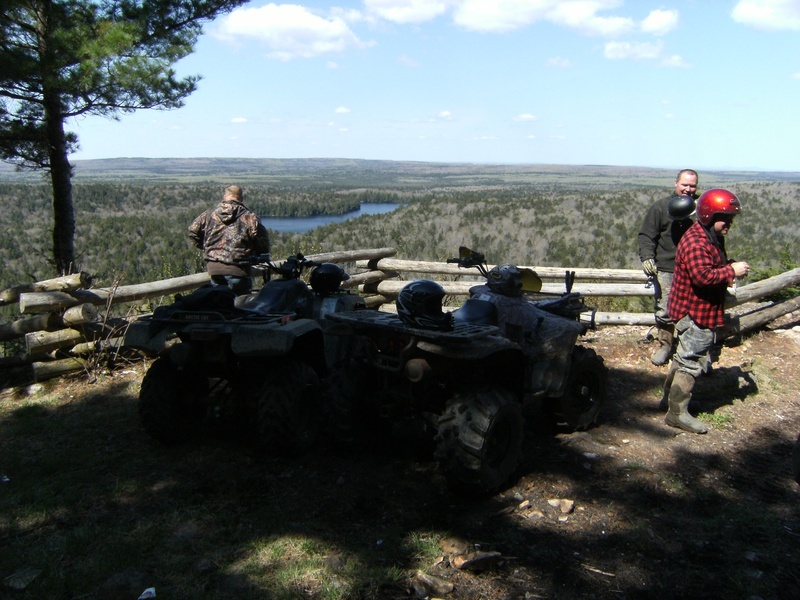 We offer atving during the summer in its self or you can combine it with your Bear hunt or Fishing trip. You can spend days riding the seeming endless logging roads at break neck speeds or slow it down a little and go off roading following some of the original horse paths that sculpted our province through streams around lakes and over mountains. We have packages already made up or tell us what you want to experience and we will make it happen. You stay at the camp every night and take Breakfast and Supper there with a hot lunch on the trail. We will be making loops to and from camp daily.With every night being spent in the main lodge. This is the wilder side of New Brunswick. I will take you quading , You will arrive Sunday and we set out Monday morning spending Monday,Tuesday,Wednesday,Thursday & Friday on the trails, you depart Saturday morning. Customize your own package, You tell me what you want and we will set out on an adventure all your own. Don't have a full week we can make it work, want a mud fest DONE, sight seeing, out looks, water falls, natural land marks New brunswick has it all.